© 2018 Grace Church. All rights reserved. We are Congregational Christians, a Protestant church, in the Reformed tradition. Our spiritual ancestors are the Pilgrims and the Puritans whose quest for religious freedom motivated them to journey to this new land. 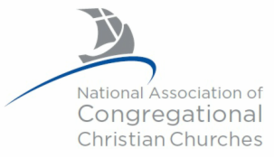 We are members of the NACCC (National Association of Congregational Christian Churches), based in Oak Creek Wisconsin & also the Ohio Association of Congregational Christian Churches. We our autonomous, and with God's guidance, we determine our budget & how we spend our mission funds. We own our own property & select our pastor. We determine our stance on the social issues. The NACCC provides resources to new & growing churches such as pastoral searches, building loans, educational & advising services, mission opportunities, & regional training events. 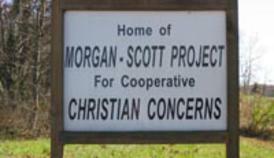 MSP was founded in 1972 to address the many needs of low income families in Scott & Morgan Counties of rural Tenessee. It functions as both a social services agency & a community development organization. Grace church began as a log "meeting house" in 1814, making it over 200 years old! In 1907, Grace Church suffered a fire that gutted the sanctuary, heavily damaged the organ and destroyed the stained glass windows and roof. Harvey Firestone was a member & his family donated the "Ascension of the Lord" stained glass at the front of the sanctuary. We are a church with a proud past...and a promising future.